I altered the original recipe just a bit, using more broth instead of water and omitting milk to lighten it up a bit (because heavy cream is so light, I know). In a large pot, melt the butter in 1 tablespoon of the olive oil. Add the onion, cover and cook over low heat, stirring occasionally, until softened, about 5 minutes. Add the broth along with the carrots and bring to a boil over high heat. Cover and simmer over low heat until the carrots are tender, about 30 minutes. Meanwhile, in a small saucepan, heat the remaining 2 tablespoons of olive oil. Add the scallions and poppy seeds and cook over moderately high heat, stirring, until the scallions are softened, about 1 minute. 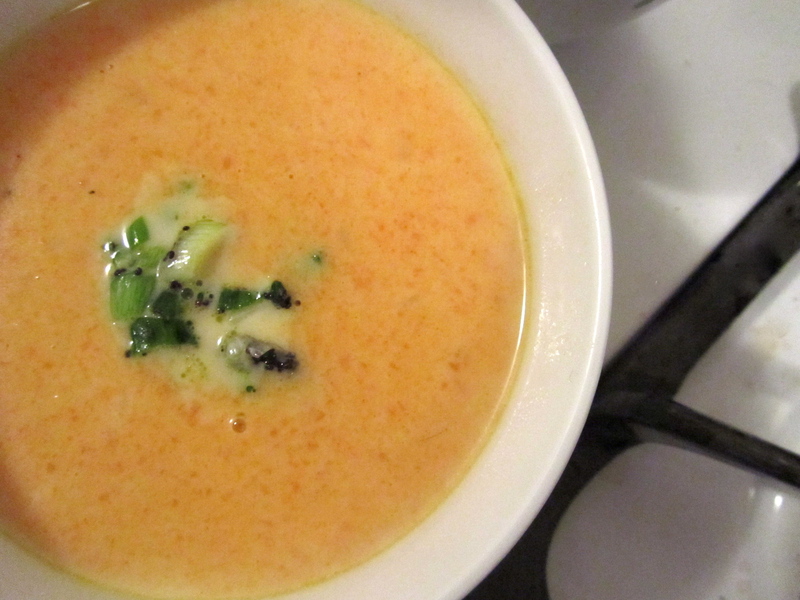 Use an immersion blender to puree the carrot soup until smooth; transfer to a clean saucepan. Stir in the cream and simmer over moderate heat, stirring. Season the soup with salt and pepper and ladle into bowls. 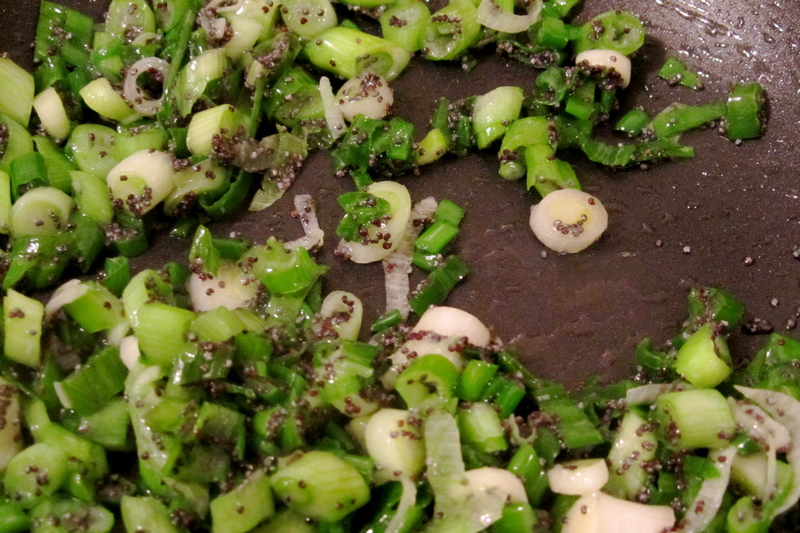 Garnish with the scallions and poppy seeds and serve. This entry was posted in soup, vegetables, vegetarian and tagged carrot, cream, soup, vegetarian by Laura Zolnoski. Bookmark the permalink.